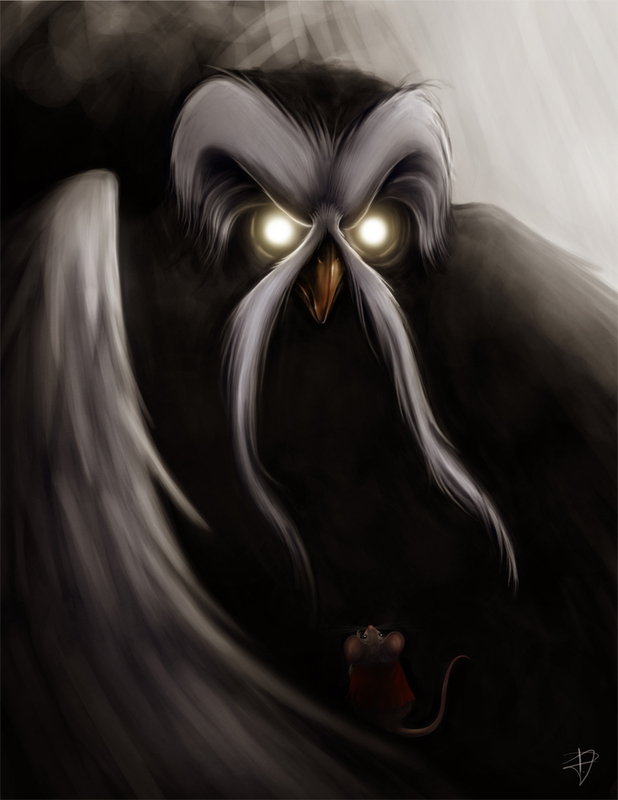 Based off of one of the best animated films evarrrrr, “The Secret of Nimh.” My concept of when Mrs. Brisby meets the Great Owl. Wow truely impressed .., Mrs brisby, Mr ages jeremy the crow what an excellent movie. I grew up on the vhs as well i love ething about this movie. what an amazing tale. the illistration was incredable i have a box of the movie bookletts in my garage showing all artwork and characters.I love what you have done, how is this a painting or computer generated? Thanks for your kinds words! This was painted in a program called Adobe Photoshop while using a Wacom tablet and stylus.